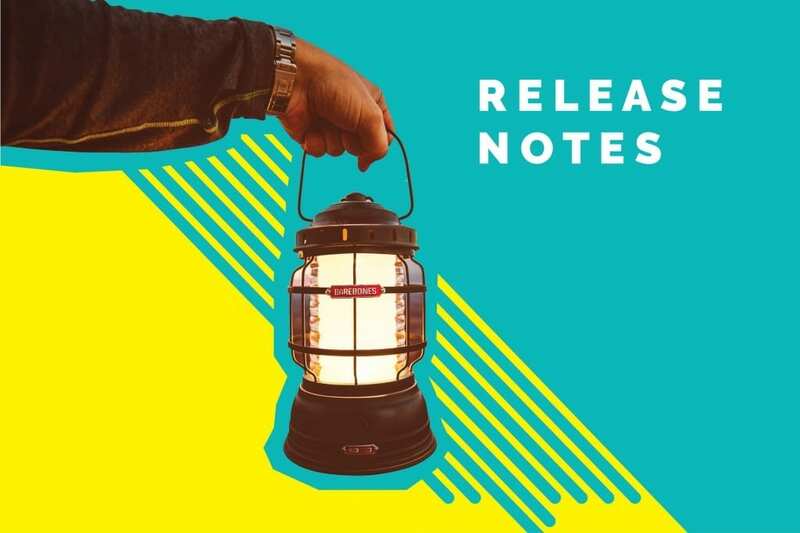 For previous release notes, head over here. The user information section in the Conversations screen now supports manual editing. You can edit the user information section to update user’s name, email ID or phone number. We have made it easier for your team to share customer conversations with each other. You can now directly share the URL of a conversation with any of your teammates and they will be able to access it. Previously, the in-chat lead collection was only the part of Away Messages. 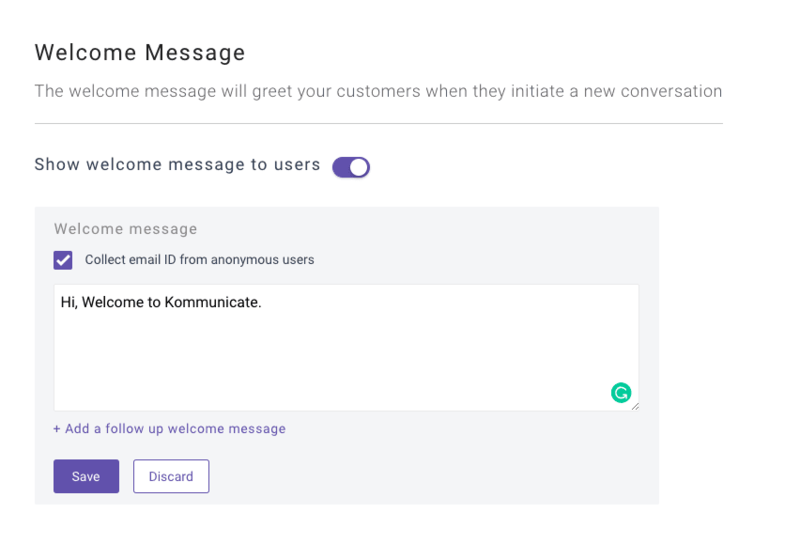 Now you can configure lead collection in Welcome Messages as well. Just check the box ‘Collect email ID from anonymous users’. We will assign the conversation to the default agent if Notify everybody is selected in agent routing rules. We will assign the conversation to the agent present in the conversation for Automatic assignment. Welcome message and away message will not come. Any agent can take over the conversation from bot by clicking the take over from bot button. We have enabled Google login for faster access to the Kommunicate Dashboard. You can use your linked Gmail account to login faster. You chat users will be notified whenever the agents close their conversations. The users will be able to reopen the conversation simply by replying to it. We have improved the presentability of the Chat Widget. Now you can set your own custom labels or labels in your preferred language. Head over to the docs to know more and set up your custom labels. If you forward any conversation to Zendesk, we will send all the messages in that conversation thread to Zendesk under the same ticket. We have improved delivery of notification to your agents and added a touch of personalization. You will not receive desktop sounds for all the issues which are not assigned to you. Our customers love bots. If you are still a bit clueless about how to bring in bots powered automation into your customer support, don’t worry, we have rolled out samples for the same. Download our sample bot and import them into your Dialogflow console and get them up and running. The new and improved WYSIWYG editor is here. 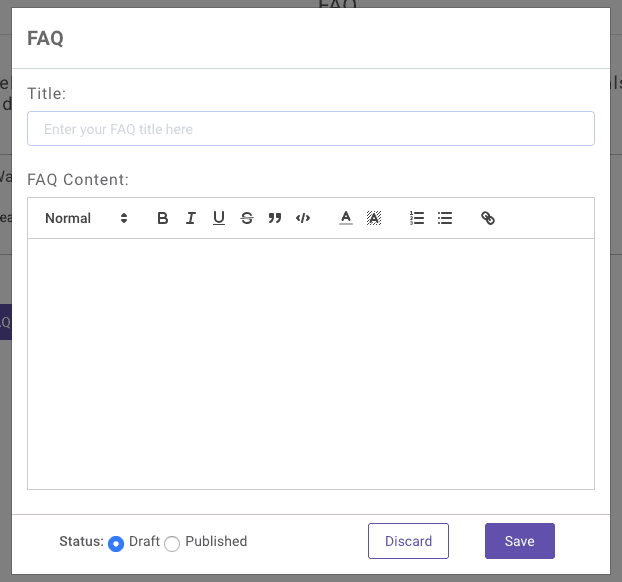 You can now use numerous text formatting option to make your FAQs better. You can also put links in texts, make it clickable for a better user experience. Previously, only conversations which were “Assigned to Me” were updating in real-time. Say, if a conversation is assigned to an agent Gandalf, it was not getting updated in real-time for another agent, Saruman. Saruman had to refresh his Dashboard for updates. Now, it is all real-time, even if the conversation is assigned to any other agent. This helps improve team collaboration. Additionally, there a lot of bug fixes, performance and reliability improvements. Just keep watching this space for more release notes from your favorite customer support platform, Kommunicate. We are always working towards bringing the best of customer support for you. So, we have lined up a series of new and improved features to scale your customer support. Keep watching this space.